It seems that 2014 is a year of cluster blogging for me. I might go weeks without blogging and then all of a sudden I blog two days in a row. I can imagine this might be a little frustrating as a follower, so I apologize for that. But let me just say, that I appreciate each and every one of you who chooses to visit this little blog and check out what I've been doing. I really do love it all, but it's just hard sometimes to find the time for everything. So thanks for sticking with me and coming back to visit! If you visited yesterday for my Currently update, you got to see how much fun I was able to have this month with my family. 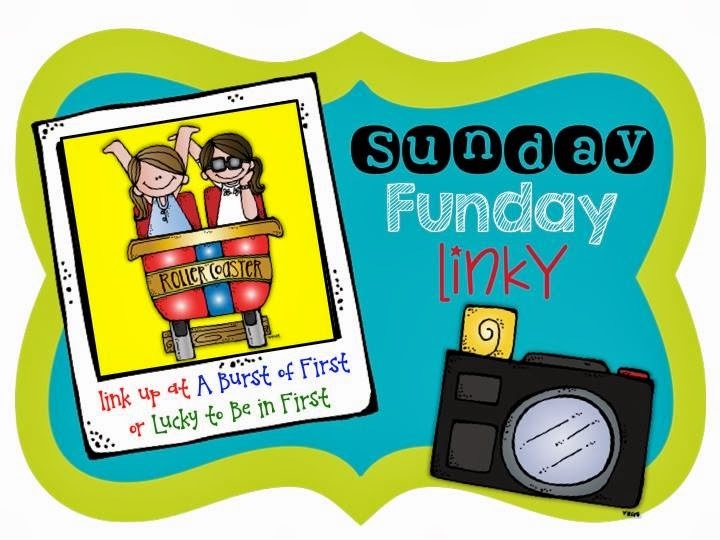 Today, I am linking up with two of my favorite blogging buddies, Deirdre at A Burst of First and Molly at Lucky to be in First, for this Sunday Funday linky. 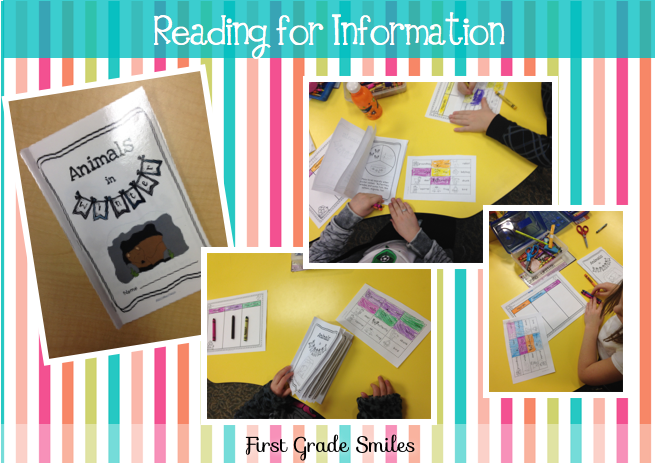 Since I already shared my personal fun I've been having - today I will share some fun things we've been doing in the classroom this month. We finished up our Animals in Winter unit. Here are just a few snapshots of what we worked on. 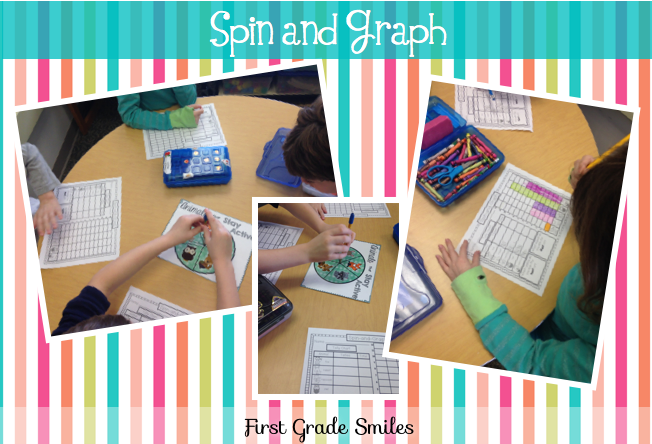 The kids had so much fun with this unit (and so did I). 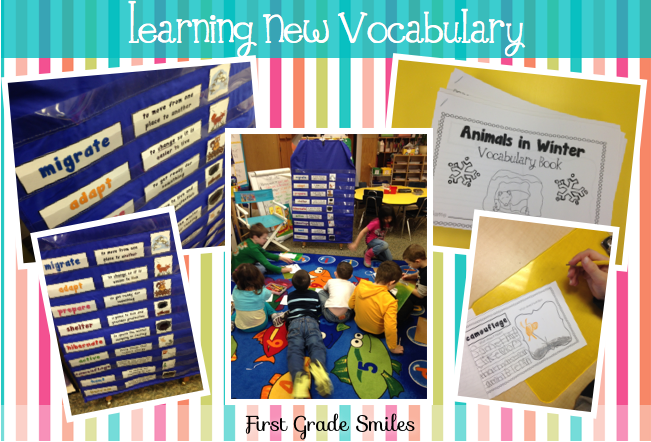 There was so much more that we did with this fun unit, but these are the only pictures I remembered to take. If you want to see more about this unit, you can read this post about it. 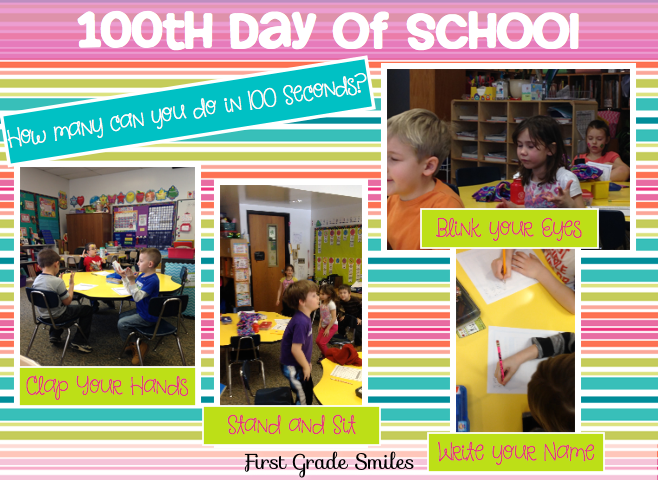 The next FUN thing I want to share is our 100th Day of School! Can you believe that because of all of our snow/cold days off our 100th day of school wasn't until February 28th??? Usually for us it is around Valentine's Day (which, we also had a snow day on by the way). So this was VERY late for us this year. Here are a couple Pinterest inspired activities. I know Pinterest didn't create these, but I have seen them all over the place and I do not know where the ideas originated. If you know, feel free to tell me so I can credit them. Next up was some 100 second challenges. 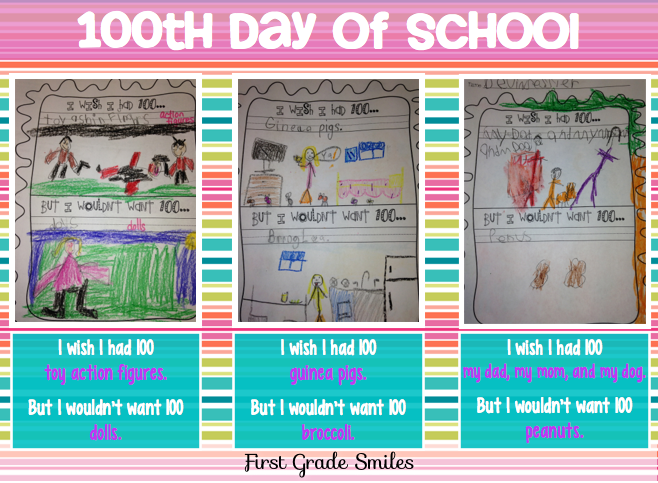 And some 100th day writing. Yes, that last one says PEANUTS --- get your mind out of the gutter! But don't think I didn't giggle when I read it, too! And for my last Sunday Funday share - I wanted to show a portrait one of my firsties drew of me. Kid art is the BEST!!! Not sure where that hat came from. I don't remember wearing a hat like that. But I do love my rosy red cheeks. I hope you are all having a FUN Sunday and that you will hop on over to check out the rest of the Sunday Funday links. I love, love, love reading phonetic spelling! One of my teammates' students wrote the other day, "When I grow up, I want to be a kock." It took us both a minute to figure out that he wants to be a cook!! I'm so happy to have found you! Your blog is adorable! 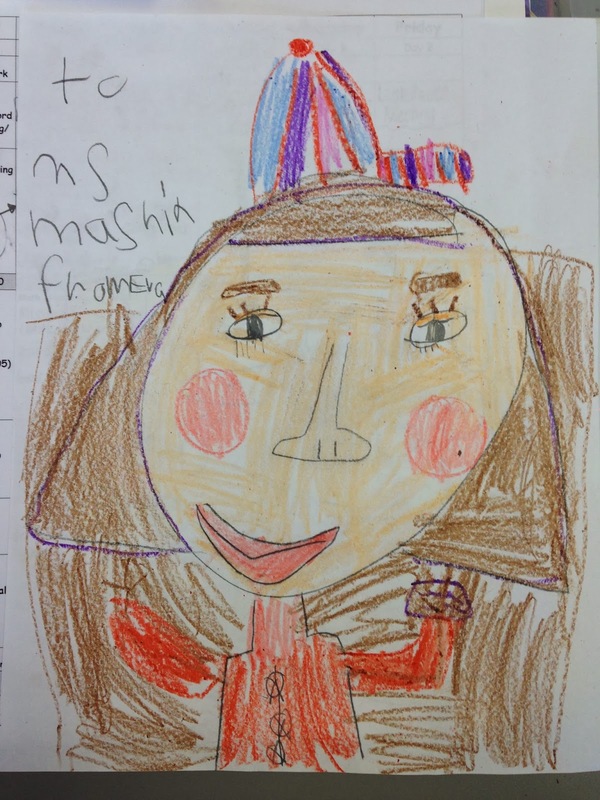 Melissa, that picture looks just like you :) I wish I looked half as good as the pictures my kids draw of me! My clothes are always fabulous, my hair is luxurious and I always look like I'm having great fun! Your 100th day stuff is awesome! Glad you're back to bloggin'! 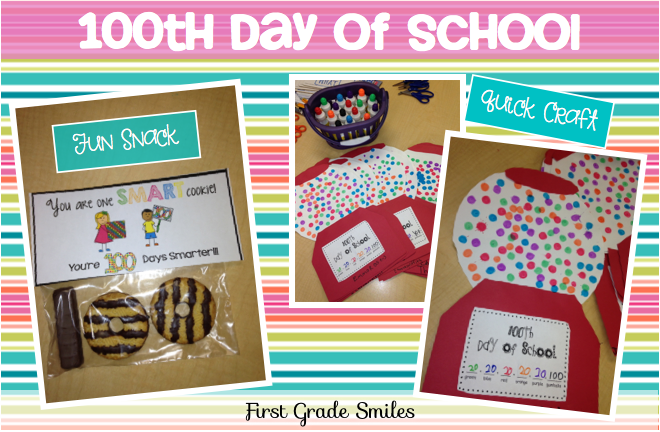 We celebrated the 100th day of school too! Yours looks like so much fun! I love how you edited all your pictures together. The backgrounds are so bright and fun and coordinate perfectly with your blog! So happy to have found you through the linky!